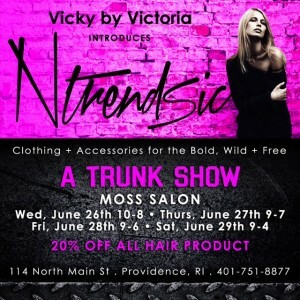 Vicky by Victoria introduces Ntrendsic! 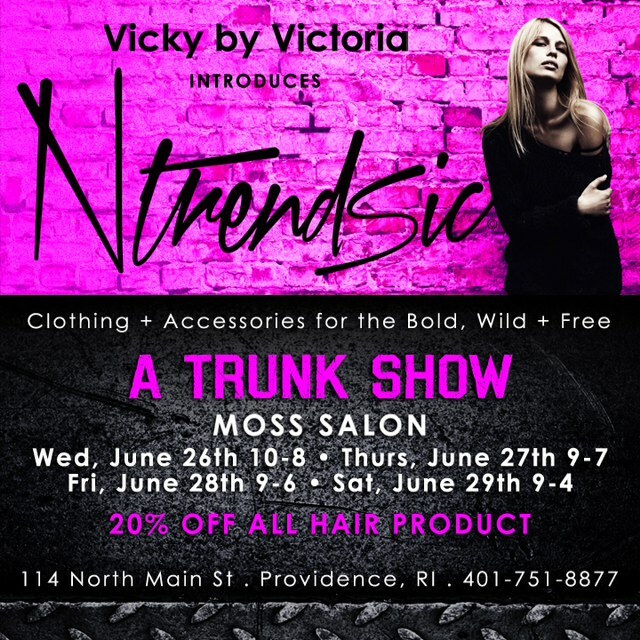 Come by Moss Salon, your number one hair salon in Providence, and check out Vicky’s new line during her trunk show June 26th-June 29th. Also, receive 20% off all hair products. Why not make it a beauty day and treat yourself to one of our great hair services while you’re here. See you soon!